Indian tycoon Vijay Mallya will appear in a London court on Monday to find out whether he will be extradited to his homeland, where he is accused of fraud. 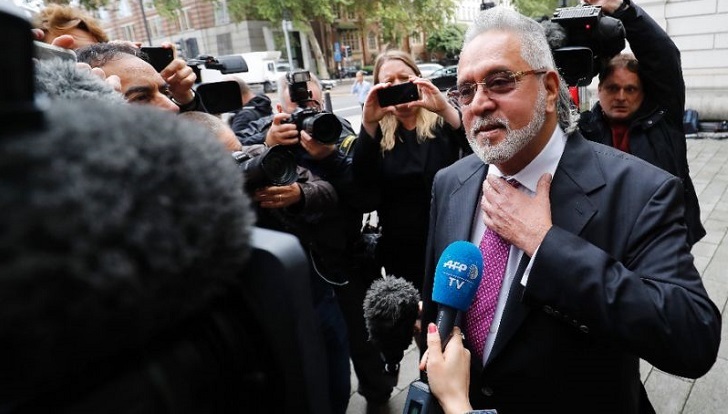 Mallya, chairman of the UB Group drinks conglomerate and chief executive of the Force India Formula One team, will discover his fate at Westminster Magistrates' Court. He left India in March 2016 owing more than $1 billion after defaulting on loan payments to state-owned banks and allegedly misusing the funds. The loans from the state-owned IDBI bank were intended to bail out his failed carrier Kingfisher Airlines. Mallya said in July that he had made an "unconditional offer" to an Indian court in a bid to settle the charges, but denies that was an admission of guilt. "I cannot understand how my extradition decision... and my settlement offer are linked in any way," he wrote on Twitter on Thursday. "Wherever I am physically, my appeal is 'please take the money'. I want to stop the narrative that I stole money," he added. The case is being heard by England's Chief Magistrate Emma Arbuthnot, who handles the most complex extradition cases. "The focus of our case is on his conduct, how he misused the banks," lawyer Mark Summers, representing the Indian authorities, said during an earlier hearing. He told the court that Kingfisher Airlines had been incurring losses and was forced to defer payments to its creditors. It sought loans in October 2009 and hoped to emerge from the global financial crisis as a profitable venture. "This was an airline in trouble at this stage, which is why it was seeking financial assistance from a large number of banks," for large amounts of money, Summers said. Known for his lavish lifestyle, Mallya made Kingfisher beer a global brand. He stepped down as the director of the Indian Premier League cricket team Royal Challengers Bangalore last year. His financial dealings are being investigated by the federal Central Bureau of Investigation and the Enforcement Directorate, a financial crimes agency. Mallya was once known as the "King of Good Times" but dropped off India's most wealthy list in 2014, engulfed by Kingfisher Airlines' massive debts. He has been living in a sprawling $15 million (13 million euro) mansion in southeast England but has denied absconding.